Moccasin champagne for anatomical insoles. Do you have sensitive feet and are tired of buying shoes that hurt you in the end? Look no further, this loafer you will find a footwear manufactured to allow moving light and very comfortable. Each season the moccasin is your hollow as a shoe versatile, comfortable and easy to carry, thanks to its handcrafted finishes, simple and sober as wildcard footwear of any woman. The color range is wide and diverse, we chose these eight shades to suit all tastes. -Black, sober and classical but essential each season. -Blue, a basic one that returns with much force. -Beige, very summery, combinable and versatile color. -Brown, another basic totally combinable with any style. -Red, more daring and passionate. -Champagne, color bright and refreshing. -Taupe, with an original engraving multi-spot that adds a touch of brightness. -Multipoint, as well as the previous tone blue, has an engraving that gives light. The outer material used in its manufacture is recorded a highly comfortable texture skin. Cotton fabric backing is very pleasant to the touch for use even without socks. The template this lined skin, is also removable and padded. Square-toed which gives a wide very comfortable, especially if you need templatesphysiological, anatomical or orthopedic. Polyurethane wedge measures 4 cm. in height and platform measures 1 cm. stands out for being non-slip, with greater shock absorption capacity, more flexible and with a greater isolation. 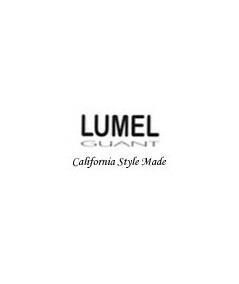 Designed and manufactured in Italy by Mark Lumel GUANT. For some people it is a problem to buy a pair of shoes, they have wide, very delicate foot and also need orthopedic or anatomical, template if you want your foot to say "these are my favorite shoes", choose your color and starts to enjoy them!